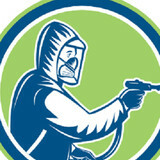 Welcome to the Pest Services website, a division of parent company Advantage Pest Control Inc. Advantage Pest Control is a privately owned and operated business serving residential and commercial clients in the GTA region. Our mission can be defined simply as; quality 24hour confidential and discreet service, results with guarantees, and a proven unblemished track record. Absolute satisfaction with no repercussions on our clients. We are proud members of the National Pest Management Association (NPMA) as well as Canadian Pest Management Association (CPMA). 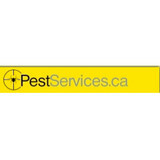 Advantage Pest Control is fully licensed by the Ministry of Environment, Ontario. We are fully insured. All our exterminators are accredited and certified professionals in this industry in Ontario. At Advantage Pest Control, our primary goal is total client satisfaction with all our customers. 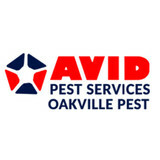 Advantage Pest Control is dedicated to serving the homes and businesses of Peel, York, Durham and Toronto Regions by providing the pest control services and products at competitive costs and impeccable service quality. Family owned and operated since inception in 1974, Advantage Pest Control has performed some 400,000 pest extermination services across the Greater Toronto Area. 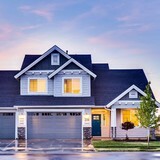 The company along with its team of highly trained technicians, prides itself on staying ahead of the curve and on top of the latest technologies and pest control products. Our Staff has extensive experiences servicing all types of residential and commercial structures e.g. Fully Detached, Semi-Detached, Town Homes, High Rise Building Apartments, etc. Churches, Warehouses, Laboratories, Office Spaces, Restaurants and Grocery Stores are some of the types of non-residential structures that we typically service. We help you by reducing and eliminating the esthetic, economic and health concerns created by the pest infestations. Contact us today to receive a free estimate Advantage Pest Control is the leading carpenter ant, bedbugs, and mice specialist serving Toronto, Mississauga, Peel and Durham; including the surrounding areas of Scarborough, Richmond Hill, Markham, Pickering, Ajax, Whitby and Rexdale. We also offer a full range of pest control products including aerosols, baits, sprays and dusts for treatment of your pest problem. Additionally we carry non-insecticidal products such as bedbug proof mattress encasements and mechanical and pheromone traps. Exterminex Pest Control Services is family owned and operated company that has served the GTA and surrounding area for more than 40 years—and we’re still going strong! We are proud to play a prominent role in the pest control field, and we have thousands of satisfied residential, commercial and industrial customers throughout the region. As Toronto’s pest control specialists since 1974, Aetna Pest Control’s team of professional technicians continues to meet the growing demand for pest control services both from a residential and commercial basis. Aetna Pest Control Limited is proud to have grown into the premiere pest control company in Toronto and the GTA. Aetna has been in the forefront of termite control services since we founded the business in 1974. Aetna was instrumental in working with Health Canada’s Pest Management Regulatory Agency in obtaining the recent approval for the termicide Altriset to the Canadian marketplace. Our technicians understand how unsettling and unnerving the discovery of a pest infestation can be. No one wants to face the reality of having rats, cockroaches, bed bugs, ants or termites in and around their house. However, ignoring the problem will not make it go away; in fact, it will only make it worse. At Aetna, we are dedicated to finding and identifying the source of the problem. Once identified, we will design a safe and effective strategy to eliminate your pest issues. In addition, we will help implement a preventative strategy to assist in stopping further pest infestations.